We would like to say a huge thank you to all our sponsors for your continued support. We hope you benefit from your participation as much as we do and have a lot of enjoyment in the process. We are always excited to discuss new partner and sponsorship opportunities and ensure they are mutually beneficial. In the first instance, please click here to contact us, thank you. Jane James and Associates Ltd is an independent medico-legal consultancy providing expert care, equipment and liability evidence in personal injury cases on behalf of claimant and defendant solicitors. As an organisation it is part of our social and corporate responsibility to encourage young people in Wiltshire to reach their goals, and David is a tremendous example of what can be achieved with hard work and dedication. We have supported David and the Reybridge team for several years and are delighted to continue to do so at this exciting stage of his career. David has been supported by Kate Negus for many years and we have always found the service we receive second to none. We are able to build the bridle that we need, which is a fairly unique service; the range of different pieces available is fantastic, and the quality is definitely of a standard that most companies would struggle to match. 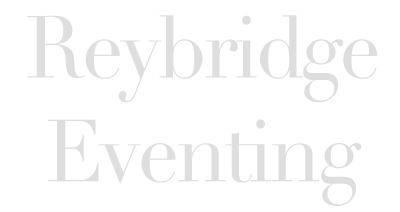 The range of products provided by Kate Negus however, doesn’t just include lovely bridles – we also have girths, breastplates, training aids and saddle accessories from Kate, all of which are of the highest standard, as well as their recently launched Lifestyle collection. Innovative and decidedly chic, Voltaire Design specialises in upscale custom saddles. Created in 2010 and recognisable by our blue striped gullet, our saddles are made in France with the finest French leathers and are infinitely customisable. 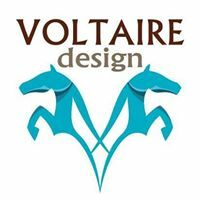 Voltaire Design‘s mission is to enable every rider to fully express their own potential. With the comfort and performance of the horse and rider as our main concern, we have made innovation our motto in order to offer better products to help riders achieve their full potential. We are very pleased to be feeding our horses products from GAIN Equine Nutrition. GAIN prides itself on producing consistent, palatable, dust-free feeds of the highest nutritional content to cater for all sectors of the equine industry. Their feeds comply with the BETA NOPS code of practice and this assures owners and riders of the rigorous quality management procedures undertaken during the manufacturing process. GAIN Equine Nutrition are in the unique position of managing the oat grain from seed to feed. The StoneHouse Clinic is based in the elegant Hartham Park estate in Corsham (between Bath and Chippenham) and has made a significant contribution to keeping David in the saddle, particularly mid-2017 when he fractured his collar-bone. The team of highly experienced practitioners, using evidence-based treatment methods, give a rounded and thorough approach to help their clients back to full health as quickly as possible. Specialists in safety equipment and cross country colours, for fantastic quality riding wear this is the place to visit. Treehouse are proud to support David Doel as he is a great ambassador for the sport, and with his impressive results he is certainly on track for gold. We are lucky to be able to help with his quest. 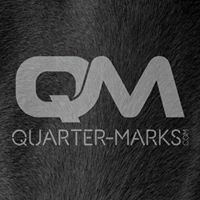 Quarter-Marks specialise in designing and producing custom quarter markers for your horse. All their Quarter-Marks are made to your individual requirements, so if you have something in mind get in touch and their team can advise you on what would work best.